Drainage Bylaw 18093 provides lot grading and site servicing requirements (EPCOR) for the development of commercial and multi-family properties. The purpose of lot grading is to provide good drainage away from buildings for the benefit of property owners. The purpose of Drainage Bylaw 18093 is to regulate lot grading on private and public land. Lot grading for Commercial and Multi-family properties is the shaping or sloping of the land in such a way that surface runoff is directed away from the buildings and controlled within the property in a manner that eliminates impact on abutting properties and City right-of-ways. Along with an application for a Development Permit for any land zoned Commercial, Industrial, Multi-Family, Apartment, or Row Housing, the developer must submit a proposed Lot Grading Plan for review and approval. The Lot Grading Plan must be approved by the City Manager prior to the construction of any buildings, additions to buildings, or alterations of surface drainage. This plan specifies design elevations, surface gradients, swale locations, and a relationship between adjacent properties; its approval is an effective basis for the control of surface drainage. 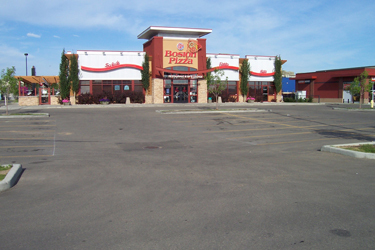 The Commercial Lot Grading Guidelines provide the procedures and requirements for surface drainage. 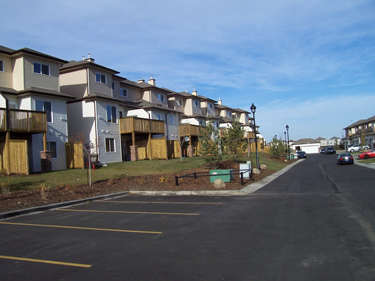 More information for Residential Lot Grading can be found in the Lot Grading Guidelines for Residential Properties.